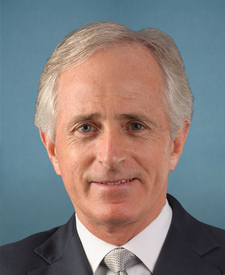 Compare the voting records of Bob Corker and Rob Portman in 2017-18. Represented Ohio. This is his 7th year in the Senate. 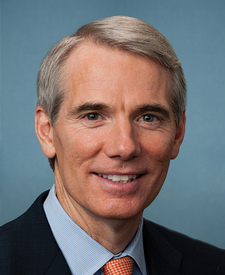 Bob Corker and Rob Portman are from the same party and agreed on 93 percent of votes in the 115th Congress (2017-18). But they didn't always agree. Out of 570 votes in the 115th Congress, they disagreed on 39 votes, including 7 major votes. Amendment Rejected by a margin of 10 votes. March 9, 2017 — A joint resolution providing for congressional disapproval under chapter 8 of title 5, United States Code, of the rule submitted by the Department of Education relating to accountability and State plans under the Elementary and Secondary Education Act of 1965. Jan. 11, 2017 — To establish a deficit-neutral reserve fund relating to enhancing health care and housing for veterans and their dependents by repealing Obamacare, facilitating medical facility leases, and prohibiting the Secretary of Veterans Affairs from employing individuals who have been convicted of a felony and medical personnel who have ever had their medical licenses or credentials revoked or suspended. Jan. 11, 2017 — To create a point of order against legislation that would harm rural hospitals and health care providers. Motion Rejected by a margin of 4 votes.